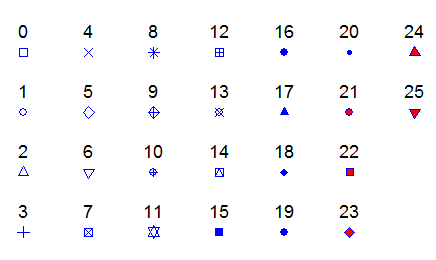 For points the symbols can be changed using the pch argument. 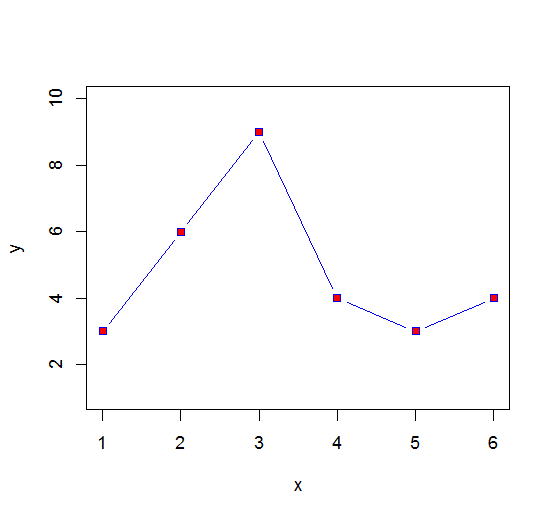 The following example shows a simple plot with a colored square symbol for the points. In the previous example we have used the value 22 for the pch argument. But of course there are some other symbols. You may use values between 0 and 25. The following code creates all the available symbols. Beside the symbols you can also use any single character for a point. Furthermore it is possible to define different symbols or characters for each point by passing a vector to the pch value. 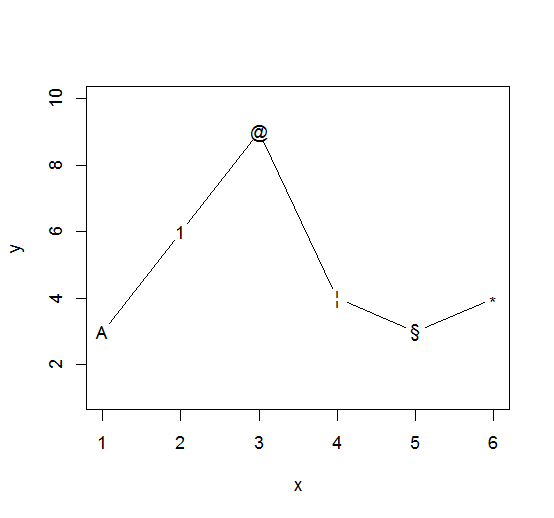 The following example shows a plot with different characters for each point.